NAN’s Challenge for 2016 was about shapes ─ choosing a shape and using that throughout the whole piece. My shape is square, which I used to create a large swirl on 14 count white mono canvas. After cutting makeup sponges into various size squares, I painted the swirl in shades of blue. Accent squares around the swirl were painted using a paint brush. I painted some of my handmade paper and other sizes of ground canvas. The various sizes of squares were cut from the paper and canvas. Some of the pieces of canvas were stitched. I then selected stitches with a square shape or the name of the stitch contained the word ‘square’. The stitches, paper and canvas were randomly placed throughout the swirl to achieve the desired effect. While stitching, I decided that I wanted to leave some of the paint visible. 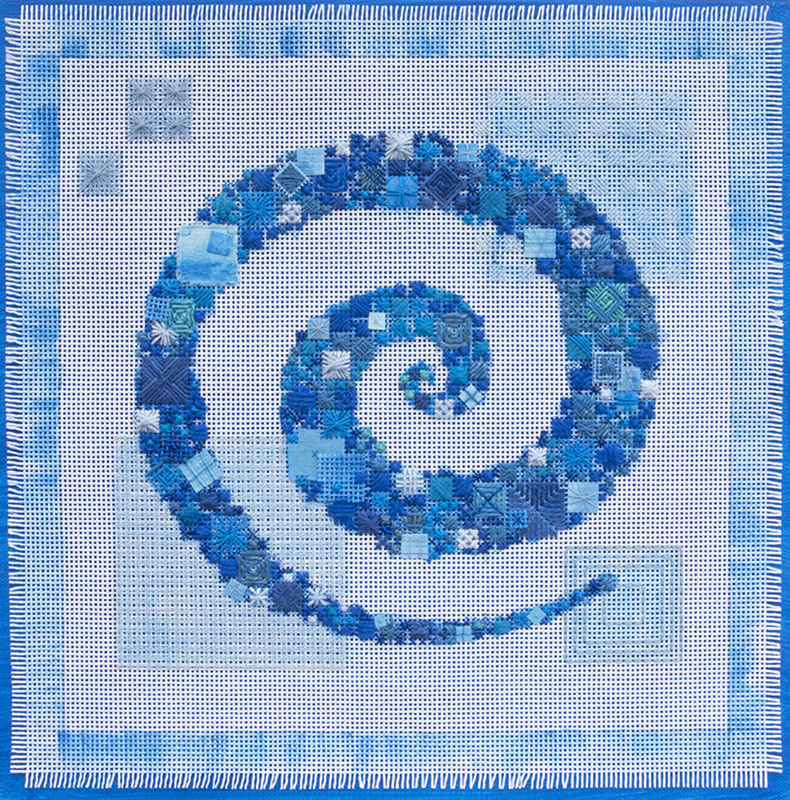 Using 1 strand of thread on the larger squares around the swirl helped expose the painted canvas.